Made of a mix of nylon and cotton materials. 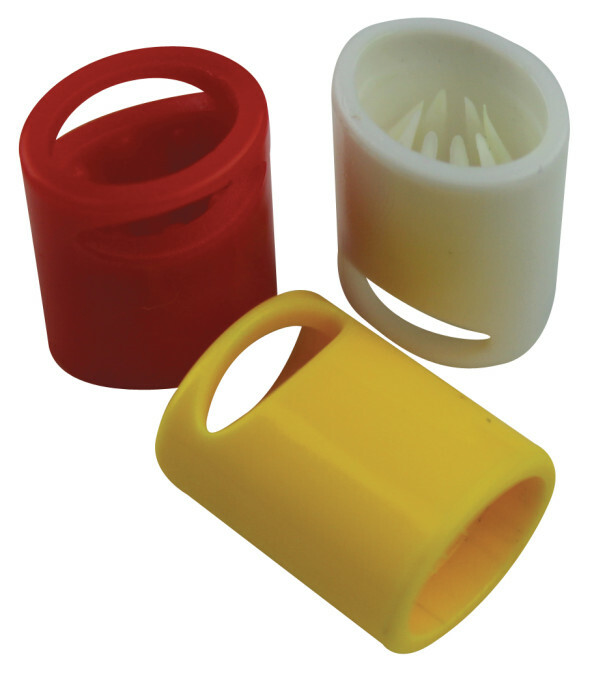 Select from four closure options for re-wearable or secure, single-time use . Features precise waving of your custom artwork in up to 8 PMS colors. 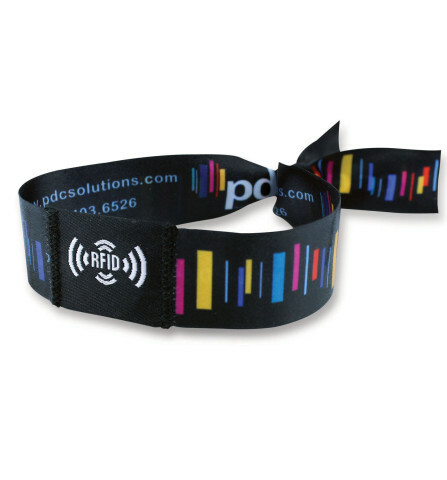 The ultimate multi-day, high-security RFID wristband solutions. 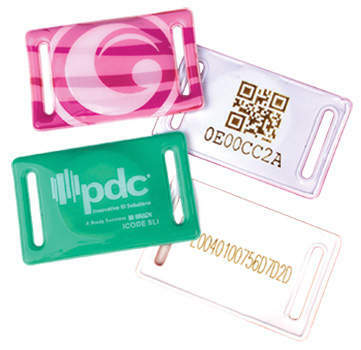 Precise, multi-color weaving of custom graphics and RFID slider maximizes security and prevents counterfeits. 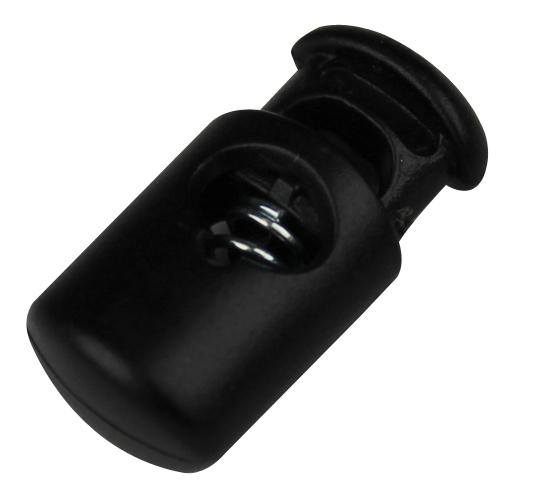 Choice of re-usable closure or high-strength one-way plastic closure to prevent transfer. 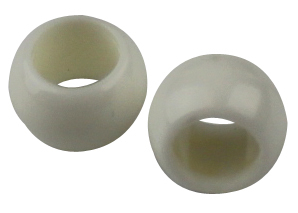 Material: Made of a special mix of nylon and cotton materials. 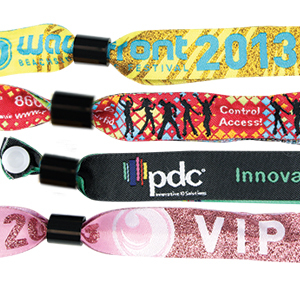 Custom Weaving: Choose up to 8 PMS thread colors per wristband design. Material: Waterproof, durable vinyl material with enclosed RFID chip to reliably store and transfer data. Color: Available in any PMS color. Custom Printing: Add your custom printed logo with up to 4 PMS spot colors. Serial Numbering: Laser etched serial numbering optional on RFID slider. Quantity: 50 per pack. Minimum order 500 wristbands per design. Lead Time: 3 weeks from artwork approval. One-way sliding plastic closure features a dual thread, anti-twist design and eight gripping teeth that lock the woven wristband into its secured position. Ultra-slim one-way sliding plastic closure features a dual thread, anti-twist design and eight gripping teeth that lock the woven wristband into its secured position. 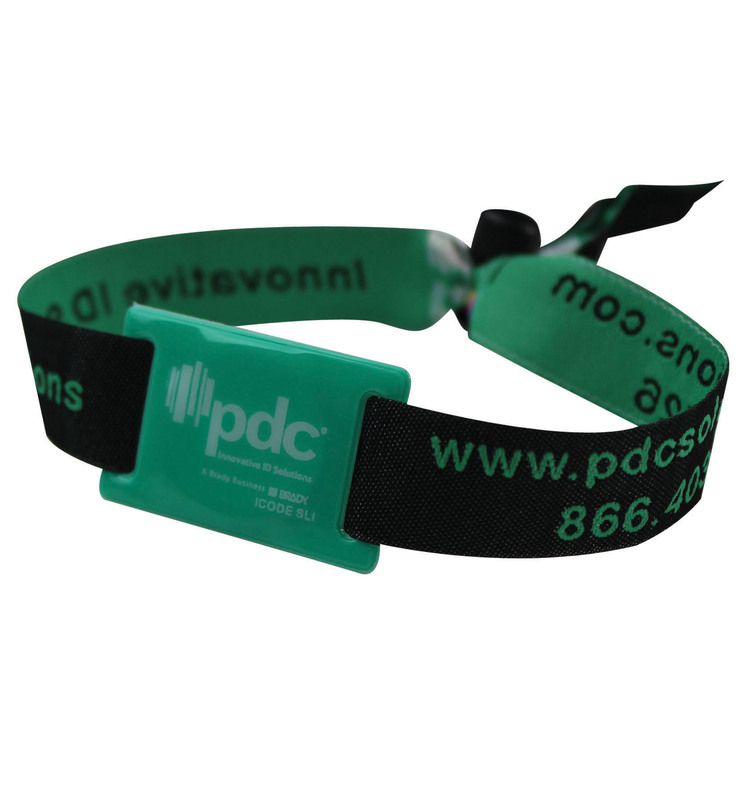 This standard high-strength, one-way sliding plastic closure includes eight teeth to firmly grip the woven wristband into its secured position. Enables the woven wristband to be readjusted for re-use. 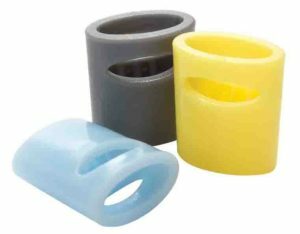 Ideal for applications where transfer is not an issue. 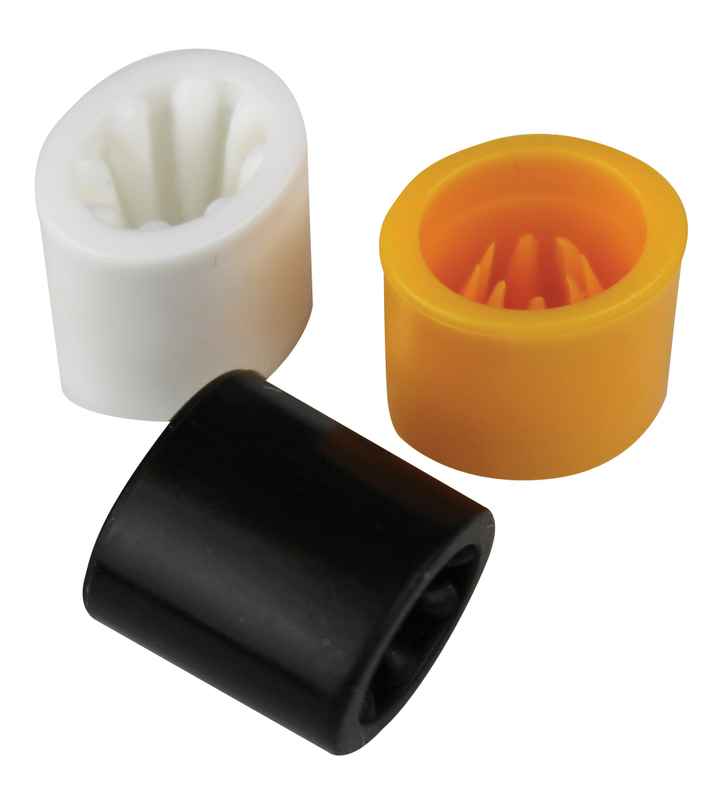 Includes stopper at tail to ensure closure remains on the wristband. The economical closure option. Effortlessly slides up and down the wristband to be readjusted for re-use. Use for applications where transfer is not an issue. 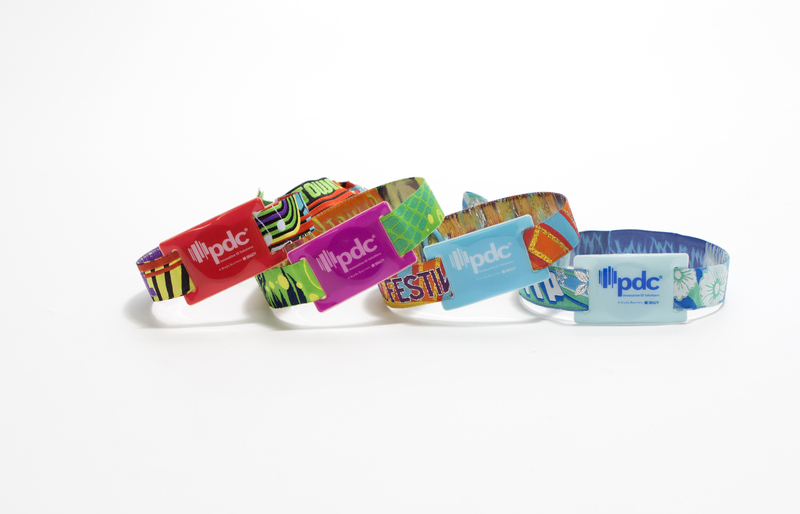 PDC Smart® Woven Wristbands feature precise, multi-color weaving of your custom artwork. Intricate details including your company logo, message, and graphics are achieved with eye-catching results. When designing your wristband, note that the RFID slider will cover artwork placed in the center of the wristband. 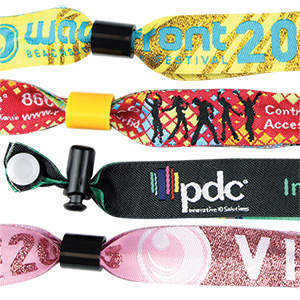 ■ Select up to 8 PMS thread colors per wristband design. ■ Front: Custom print with up to 4 PMS spot colors per RFID slider design. ■ Back: Optional laser etched serial numbering on back of slider. Feature ultra-soft satin-like material with dual-sided, edge-to edge full color printing. Select from 2 secure closure options. A premium wristband for high-impact branding.